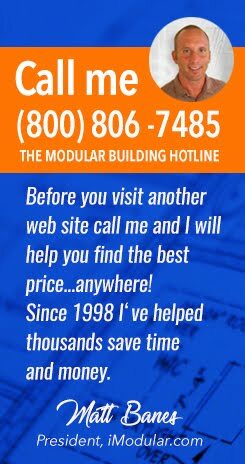 Buying or renting a used modular building takes time and research if you want the best value for your money. Here is the first of many up to date tips about finding and buying or leasing/renting a prefabricated modular office, classroom, church building or other commercial structure. Tip #1 - Know your local building and permitting codes. Yes, this is very important if you are going to use a temporary or permanent modular structure on your property for human occupants. Your local building and safety and planning departments will have the facts for you so contact them before spending too much time trying to find a modular building first. In most cases your local authority will quickly tell you what you can and cannot do with a rented or purchased modular building. You will learn about where you can place a modular on your property, for how long, how it can be used and what type of access for people will be required. Issues such as life safety, fire codes and handicap access will all be covered for your benefit. Once you have a god understanding of the laws governing portable/modular building codes in your city you can then begin the process of planning....that will be covered in Tip #2 on this blog.